Initial reports say the trouble started as an altercation when the local police tried to divert the rally's route. A group holding a Ram Navami procession clashed with the police in the outskirts of Asansol - a town around 200 km from Kolkata in Bengal -- this afternoon. 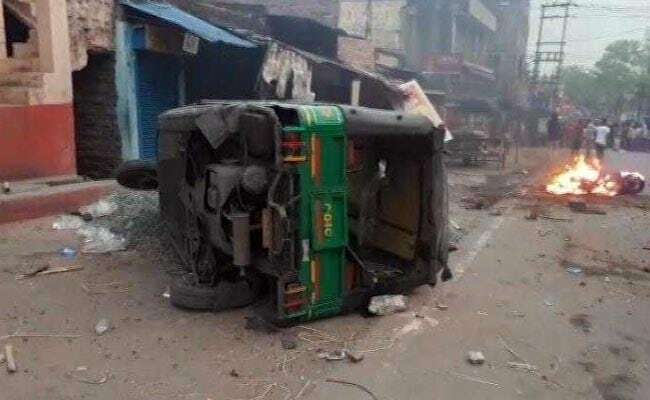 Stones were throw at several police vehicles and at least one motorcycle was set on fire by rallyists, who claimed their Ram Navami procession was stoned by members of the minority community. The Rapid Action Force had to be called in, the police said. LN Meena, the city police chief, said, "The matter is now fully under control we are looking into the cause of the incident". The administration said investigations are on to find out what triggered the violence.